for how they could respond to them. 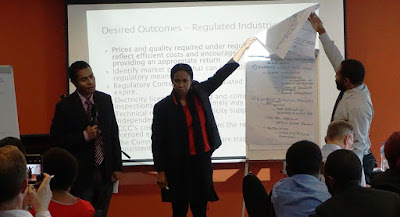 PSDI hosted a capability assessment workshop with staff from the Independent Consumer and Competition Commission (ICCC) on February 3 in preparation for a capability building technical assistance package later this year. 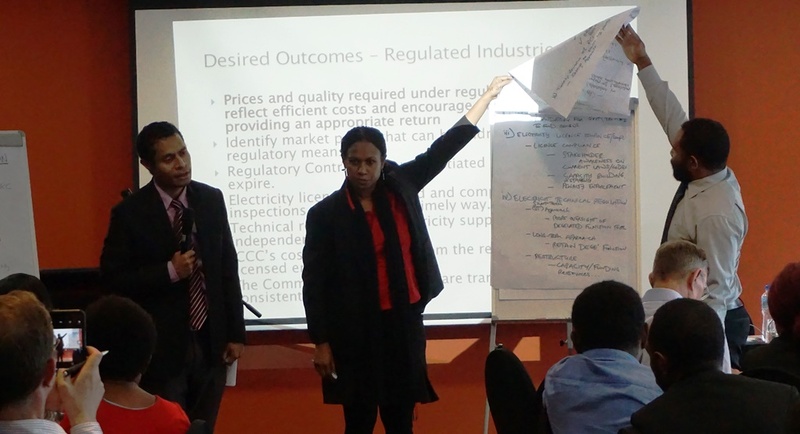 PSDI Competition Experts Andrew Simpson and Geoff Thorn assessed how the staff and management practices of the ICCC are positioned to achieve competitive market outcomes for Papua New Guineans, and meet government priorities. The assessment revealed that the ICCC was generally ready to deliver on its mandate, but there were some areas for improvement. ICCC staff reviewed the assessment findings and considered how they could be applied them to their work areas. Particular interest was paid to how the ICCC could be more proactive in defending consumer rights, detecting and prosecuting anti-competitive behaviour, and managing resources to deliver on government priorities. assessment relate to their work. The results of the assessment will be provided to Treasury and used to inform the technical assistance program and broader change management process. The capability assessment complements PSDI’s assistance to Treasury in reviewing PNG’s competition and consumer protection framework, the final report from which will be released for public consultation in the coming months.